Join Us as an Intern at the Penn Libraries! Are you a graduate student? Do you love libraries? Are you interested in learning new skills and being part of a great team? If you said yes then you may be just who we’re looking for! Interns from multiple departments in the Teaching, Research, and Learning directorate, including WIC and the EC, will come together as one cohort under a unified internship program. We believe that this will create a better, more comprehensive educational experience for all of our interns but also provide them with a sense of community among a group of peers that can enhance the internship experience. All interns will spend one-third of their time serving as the front line on the Van Pelt Library Information Desk. The other two-thirds of their time will be devoted to tasks and projects dedicated to their specializations. Throughout the year, they’ll also be given opportunities to meet other librarians and library staff so they can learn more about the diverse range of knowledge and skills that are employed in the library. 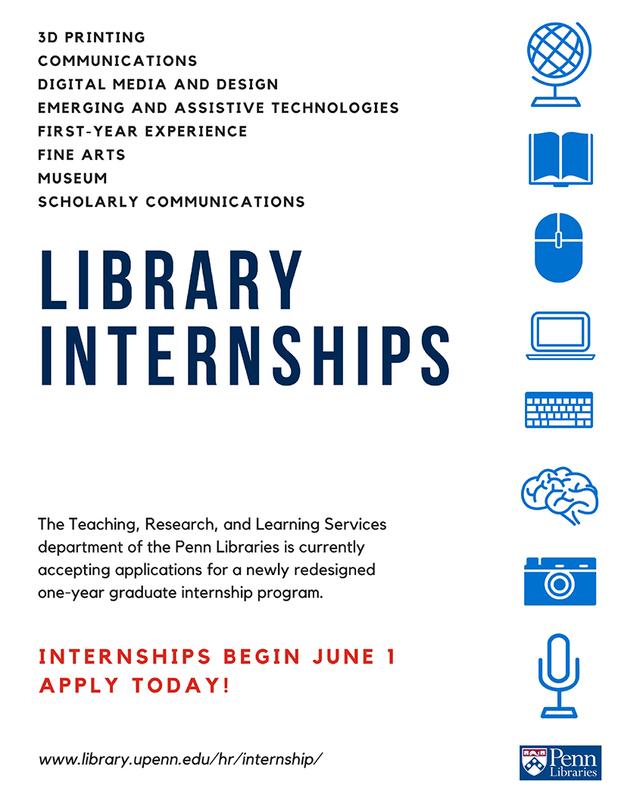 We’re looking forward to giving our interns a full and well-rounded experience of the library while providing them with a chance to build upon their strengths and interests. Creating opportunities for them to collaborate more closely with library staff, work on projects that align to their future goals, and potentially discover new avenues for their career is an exciting prospect for us. Please don’t hesitate to apply if you do not fit the mold of a traditional library student! With so many different intern positions, there are options available for both library school students and individuals pursuing other graduate programs. We are accepting applications through May 15 so apply today if you want to be part of our first cohort! And if you know of someone who may be interested, please share the word! Take a break from studying, have some refreshments, and join your friends to watch election results in the Class of ’55 conference room (241 Van Pelt-Dietrich Library Center) on Tuesday, November 8 from 5pm to midnight. We hope to see you there! 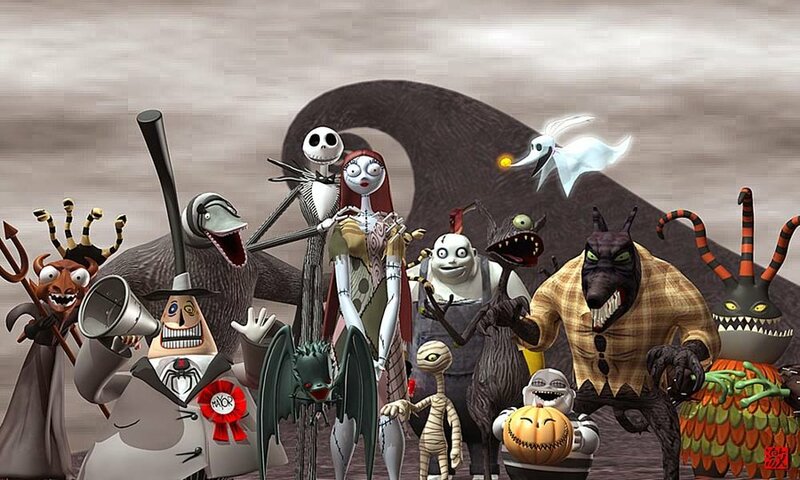 Be sure to stop by the lab today for a candy bar, and while you’re here stay and watch The Nightmare Before Christmas with us! This post is adapted from an email I wrote in response to a question about the best way of obtaining a transcription of an audio file. Good transcriptions/captions are incredibly useful in a variety of situations, and due to ADA compliance, they’re increasingly a necessity. People usually don’t think about this ahead of time, and I try to encourage people to build captioning into research budgets and grant applications whenever possible because costs add up. The more footage you have, the more likely you’re going to have to get someone else to do it, and even just 10 hours of audio could cost you $1000 to have transcribed by a captioning service. But (as of late 2016) the quality of the YouTube automatic captions—although clearly they’ve made huge progress over the years—still means that they serve no real purpose other than their comedic/entertainment value. They’re good enough only to get a very general idea of what’s going on, and that’s about it. And this is with clean audio and clear speakers with a standard American English accent. It’s not accurate enough for ADA compliant captions or for hearing impaired people to find useful. It’s not accurate enough for a native English speaker to watch the video with the sound off. It’s not accurate enough for non-native English speakers to use increase comprehension or to use with automatic translation services. It’s not accurate enough for a production transcript for an editor to find clips to use. It’s not accurate enough to provide useful search capability. It’s not accurate enough as an alternate way of archiving audio content. It’s not accurate enough to use the transcriptions in a thesis, dissertation, or journal article. It’s not accurate enough to do a qualitative analysis of the text. It MIGHT be accurate enough for some degree of SEO, but it’s certainly not ideal. It’s inaccurate enough that if you’re going to take these captions as a starting point and then go back and edit them, you’re not really saving yourself much time. Inaccurate captions can also detract from the user experience because users end up focusing on the errors instead on your content. It’s inaccurate enough that it makes it difficult to impossible to repurpose the text to other contexts (blog posts, tweets, emails, etc.). The best transcription software out there still works best when it’s had a chance to learn a particular speaker’s voice, which takes time and means you have to correct the software as you go so it can learn from its mistakes. This is fine when the same person is transcribing their own voice over and over again, but it’s not so useful for just a handful of interviews of each speaker. I say all of this not to put down YouTube (again, I’m actually really impressed it’s as accurate as it is) but in support of the idea of paying human beings to transcribe it for you—preferably people who are experienced in doing so, but almost any person is going to do a better job than software. The fairest way to compare services is to be sure you’re paying per minute of interview, not per minute of time spent transcribing, which will vary from person to person. Try to find a service which guarantees a certain level of accuracy (generally, it’s not going to be usable for most purposes if it’s less than about 97% accurate). Is the provided quality/level of accuracy good enough for your needs? Is it good enough to attach your name and Penn’s name to the final product? Do you need just a transcript? Or timed captions? Do you want an “interactive transcript” like what com does with their instructional videos? Find out what output formats they provide. (is it just straight text in a .docx file w/ a periodic time code stuck in? Timed captions SRT? DXFP/TTML?) The degree of accuracy you need for the timing of the text will partly determine what file format you need. Some are convertible to others. Some services will transcribe a few videos for free first to see if you’re happy with the service. How fast is the turnaround time they offer? (Generally you pay less for slower turnaround, but it can be useful to be able to pay extra when you need it the next day) A service is going to provide much faster turnaround time than an individual can because they have many transcribers working for them. Does your school have an existing relationship with a captioning service? Do you need a HIPAA compliant service or is the material otherwise sensitive or confidential? Can you build the cost of transcribing into your research budget or grant proposal? Do you need all of your raw footage transcribed (as you would if you were editing a documentary)? Or just the final edited version (as you would if you were simply trying to meet ADA requirements)? Are they a Penn-approved vendor? Can you pay with a purchase order? As far as recommended services, I’m glad to recommend both AutomaticSync and 3Play, both of which we’ve used and both of which we’ve been very happy with. 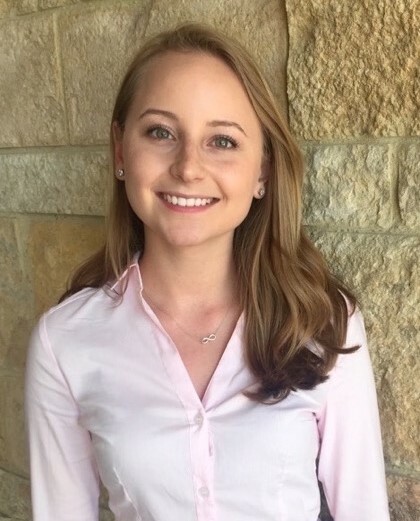 Kaylin Raby is a junior studying Systems Engineering and is the president of Access Engineering at Penn. In this guest post, she describes what the club does and explains its mission. Recently there has been a push to encourage science, technology, engineering and math (STEM) education in schools across the country. Science and Math are standard elements of high school curricula everywhere, and kids are exposed to technology every day of their life. However, kids often have much less experience with engineering and what it actually entails. Access Engineering seeks to change this by providing high school students with a realistic and approachable first-year undergraduate engineering curriculum. Ashwin Dewan helps students with Arduino programming and BoeBots circuitry. Access Engineering’s mission is to demonstrate to Philadelphia high school students what engineering is all about: an analytical thought process and an option for a future career. We also hope to inspire and motivate students to seek out higher education in general. As Penn Engineering students, we are in a unique position to accomplish this mission. We can relate to the challenges they face as high school students. Many prospective students do not apply to engineering schools because they don’t know what engineering curricula covers or they have misconceptions about what it entails. We want to acquaint students with the various engineering majors and give actionable advice that students can use in regards to their potential college paths and engineering careers. Access Engineering offers two weekly programs to high school students interested in learning more about engineering. We teach an introductory track, which gives students a broad introduction to many different engineering fields. This includes an introduction to the Java coding language, circuit design, robotics, an introduction to computer assisted design, app development, and prototyping parts on 3-D printers. The advanced section focuses specifically on the integration of circuitry and computer science with mechanical engineering, building upon material learned within our first-semester program. 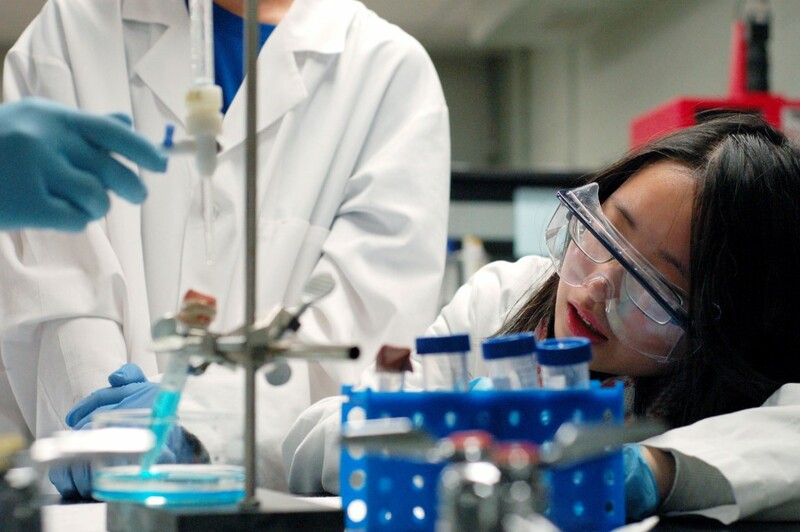 Students investigate their findings in a chemical engineering lab. Last semester, Access Engineering brought over seventy students to Penn every weekend to participate in our first and second semester programs. We recruit students from four main partner schools in and around Philadelphia, and we plan to expand the program to new schools each year. Kaylin Raby assists a student with Java programming. Belinda Liu explains Solidworks modeling to students in our MEAM lab. Students add a 3D printed arm to their Lego catapult design. We teach our lessons weekly on Saturday mornings from 10 AM – 1 PM. If you would like to know more about the club and what we do, we encourage you to visit our website. Recruitment for the fall semester begins in September- be sure to stop by the Activities Fair to speak with current volunteers about the Access Engineering experience!